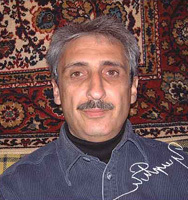 Was born in 1952 in Yerevan. Graduated from the geographical faculty of YSU. Held a solo exhibition in 1984 in the Teachers’ House.